This year’s camp was yet another success! 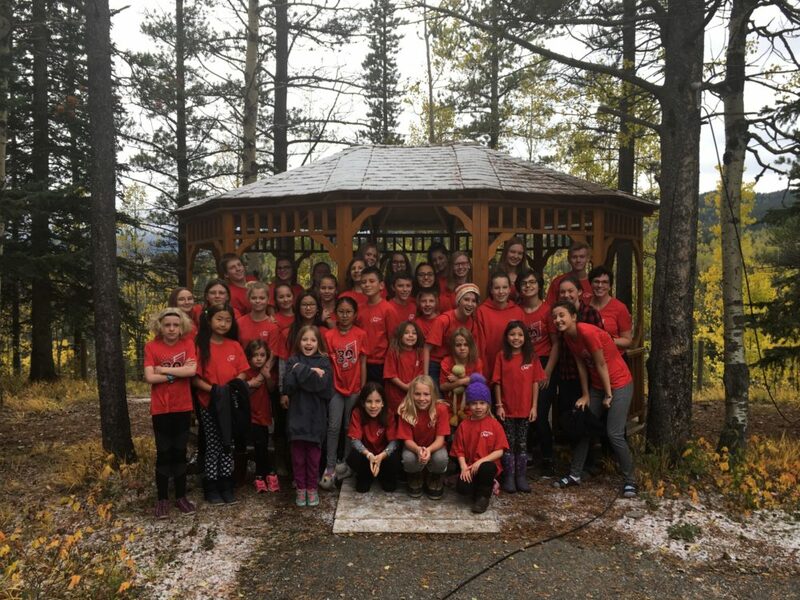 Choristers showed up at Camp Horizon buzzing about the weekend to come and were already looking forward to Skit Night, campfire songs and all the other activities camp has to offer. After the first night of icebreaker games, the real “work” began. The first full day at camp was a mix of choir rehearsal time and regular camp activities like capture the flag and practice time and arts and crafts. All this rehearsing and running around, however, did little to tire the campers out for skit night. Campers were sorted into teams and were tasked with creating a Bach themed skit. (We think the choir should look into musical theater based on what we saw.) Every group pulled off some very unique plays that thrilled chaperons and choir members alike. After the skits were concluded, the group huddled around the campfire singing everything from old repertoire to call and repeat songs under the stars as dusk turned into night. Little ones were sent to bed group by group and soon everyone was back in their cabins dreaming of the popcorn fairy. The next morning was a whirlwind of rehearsals in preparation for the day’s concert for the parents. After a successful concert, it was time to collect compliment envelops and head home! We are certainly looking forward to winter camp this January and even more forward to our first concert of the year, our Christmas concert on December 8th.